Missions Fest Vancouver is a weekend event for everyone. You’re invited to come for an hour, a day, or the whole weekend. General Admission is free, but registration is required. Get more info! 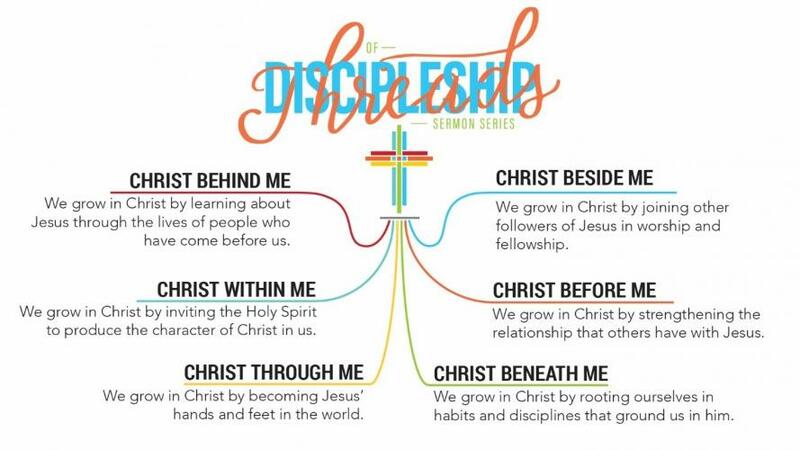 A local church has come up with a framework called “Threads of Discipleship” (Thanks, Tap!) which paints a landscape that surrounds an individual who is abiding in Christ (see diagram). Discipling and being a disciple are not individualistic endeavours. You’ve heard the saying: “It takes a village to raise a child.” In the same way, it takes the whole church to raise a disciple. Look at the landscape. As Christians we have a church community, the bible, traditions of the church, works of service, spiritual disciplines, and the work of the Holy Spirit in us. These “threads” surround us and nurture our growth, while we nurture the growth of others. Take some time and join us on the weekend of January 18-20, 2019 to explore our missional call into discipling! We have 70+ seminars, a Film Festival, General Sessions with great speakers from around the world, and the opportunity to connect with over 250 mission agencies who would be happy to collaborate with you in your journey. General Admission is Free but Registration is required. If you haven’t “liked” Mission Central and Missions Fest Vancouver on Facebook, please take a moment to do that. Thank you!